Are your gifts all wrapped? The halls decked? The cookies and pies baked? I think I have wrapped 3 presents so far and they were small. and they are blooming away in the kitchen. and I had BIG TIME peony envy. but thought I would check. they had just a few special random bunches of these beauties! and a favorite vintage statue. but I am putting up the link party as usual for those of you who would like to join in. you didn't get HALF the Holiday posts done this year. and stay open through Wednesday!! to ALL of my blog friends out there!! Peace and wonderful times with family and friends. Onto the Recap from last week! Antique Chase shared this gorgeous armoire! 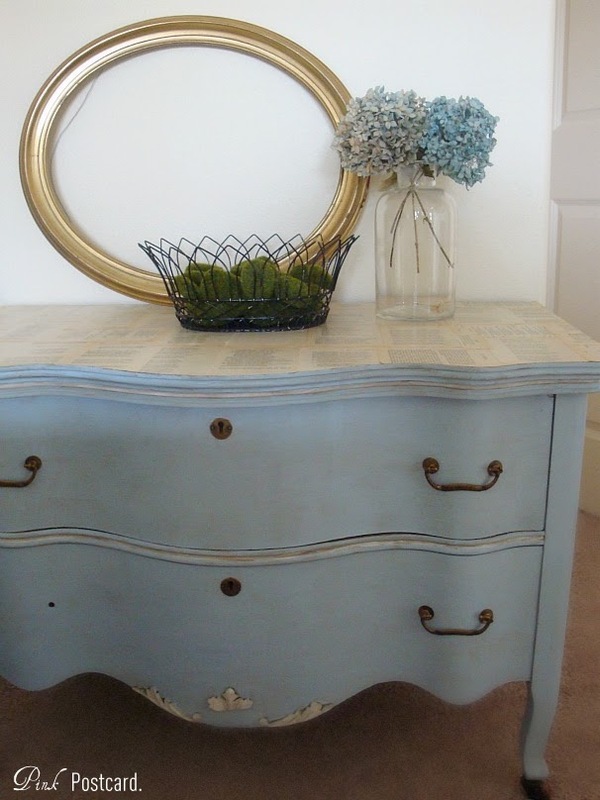 Don't forget to enter the Chalk paint giveaway!! I am not finished yet either. More shopping, not much, and some sewing! Hope all wraps up soon for you so you can enjoy yourself. Your home is lovely! Thanks you for hosting and joining me at Home Sweet Home! Have a very Merry Christmas! 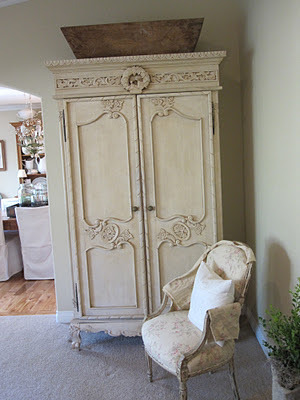 I really enjoy being part of Feathered Nest Friday, I always get inspired! Thank you for being a gracious hostess, and and good friend, Courtney! Absolutely gorgeous features. Thanks for hosting, I am all linked up. The peonies are beautiful, Courtney. Thanks for hosting and have a very Merry Christmas. Thanks for hosting, Courtney and have a wonderful Christmas. I'm most definately not finished shopping or wrapping!! 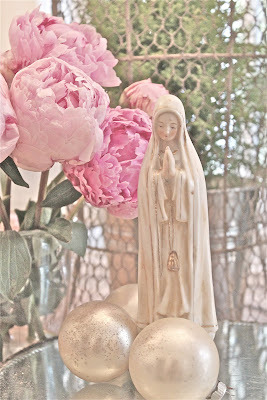 Love your pink peonies!! Hope you have a Merry Christmas Courtney!! I almost finished today, but still I need to bake some cookies, caz what's a C'mas without lots of cookies?! I want to thank you sweet and lovely Courtney for having me at your great and fun party this entire year that's almost over, and for been such a gracious hostess. I wish you a wonderful C'mas along with your loved ones. Many blessings. Peonies - one of my fave flowers! Everything looks fab too. Wishing you a very happy Christmas and new year. Very beautiful post. Merry Christmas! Everythings so pretty Courtney. Thanks for hosting, and have a very Merry Christmas. I love peonies! So refreshing to see pink! Thanks for hosting and Merry Christmas! I'm going to finish the wrapping tonight, it will be a first for me to have it done for Chritmas Eve! Thanks so much for hosting and have a very Merry Christmas! Happy Holidays, Courtney! 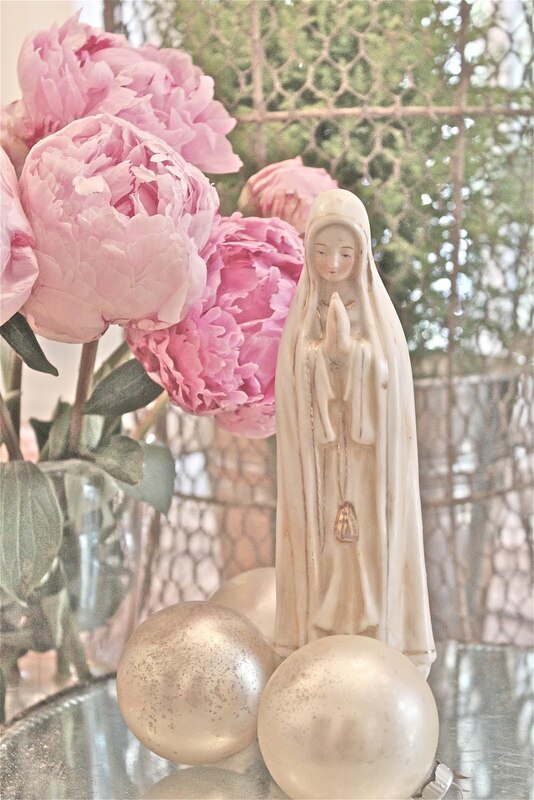 Love the pink peonies in your decor for the season! :) Thank you for hosting! Peony envy is pretty funny!! Ha! They're beauties and I'm surprised too! Some years are just like that. Busy busy busy. But it's been a fun year with you for FFF. Thanks so much. Have a Merry Christmas! I'm DONE! All I need to do is go to the grocery store to pick up dinner rolls for Christmas dinner! Merry Christmas Courtney! Well, I am about as finished as I am going to be. Wrapped gifts very early today, made some cheese straws. Thank you for hosting. Merry Christmas. Thank you so much for hosting- everything looks beautiful! 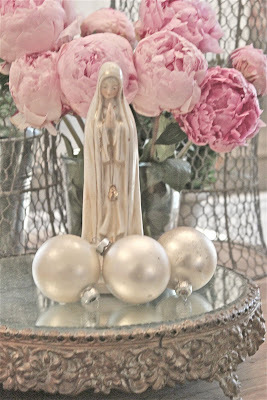 Love your peonies!! I just had a few roses that I enjoyed in my living room from our yard!! I'm lovin' the warmer weather where I live now! Thanks for hosting! Merry Christmas! Have a wonderful Christmas Courtney! Oh I am nowhere near finished! 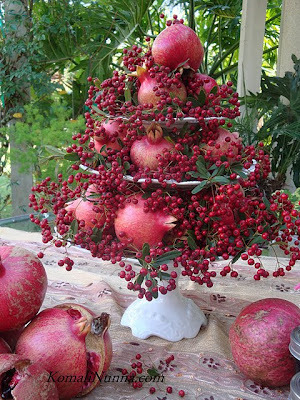 This Christmas, we feathered our nest by topping our parlor trees with ... feathers!!! Marry Christmas and happy Holidays! I so enjoyed catching up a bit and love that darling picket fence treasure box you made! Congratulations on the Romantic HOMES feature ~ beautiful. And your holiday decorations are just lovely. Thank you so much for your lovely comment and the invite to your party! Well, I feel better knowing I am not alone in being behind this year with all the Christmas festivities! Thank you for hosting and Merry Christmas to you and your family! Merry Christmas and thanks for being here! I like touches of pink at this time of year too. 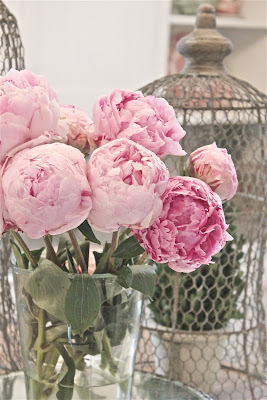 Beautiful Peonies, they are one of my favorites! your home looks beautiful! Thanks for visinting my blog and the invite! I just "shared" in your party! Have a wonderful Christmas! now I'm jealous over your peonies! 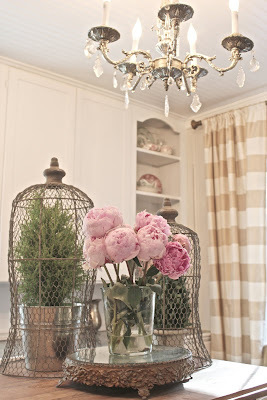 love the caged evergreens too! Thanks so much for stopping by: www.potholesandpantyhose.com to see my Cedar Xmas Garland. I linked it up to your party & have added you on my to-do list on Friday's! This is my first time to your site and am so glad to have found you! Thanks so much for the invite, I'm happy to link up. Merry Christmas! Love the Peonies! Just bought some today in the same color. 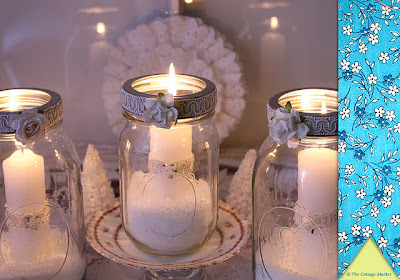 I put them in little votives with holiday greens for a table decoration. It's perfect -just the right touch and my guests can see easily over them!